Like all other SaaS companies, we pay close attention to certain metrics that are important growth indicators of our business. Our Papa Bear Matt and myself are suckers for checking MRR and ARR dashboards on basically an hourly basis. Services like ProfitWell, Baremetrics, and ChartMogul plug right into our payment platform Stripe, and give us real time updates when we bring in new revenue along with all kinds of other data. The early days of a SaaS business are exciting times when you get a first hand look at that 0 to 100 growth. However, in the last few months we’ve learned that new revenue is great, but keeping that revenue is way cooler. When our churn rate jumped up 61% from September 2017 to February 2018, our excited hourly revenue updates turned into depressing churn updates. We knew we had to take action so we shifted our entire team’s focus to reducing churn and (spoilers) it worked. Here’s what we learned along the way. First we took a page out of Typeform’s playbook. 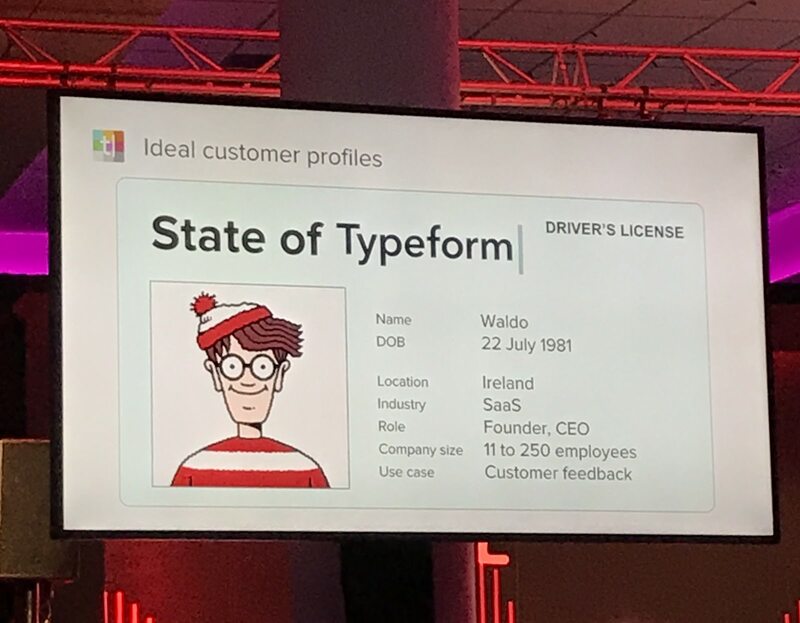 In September, we were lucky to catch a presentation at SaaStock Conference by Typeform’s Head of Customer Success, David Apple, where he discussed how Typeform identified their Ideal Customer Profile. They found that One Offs were actually a negative ROI, while Casuals and Reactivators had 3-4x return, and Stickies had a whopping 7x return! From there they analyzed the Stickies, and built a profile based on their common traits such as Location, Industry, Role, and Use Case. Now they know exactly who to target to acquire customers that will stick around long term, and provide the best lifetime value for their business. Like Typeform, we then measured retention for each group, identified which group stays with us the longest, and then profiled that group based on Location, Industry, Use Case, and Role. Just doing this process was extremely helpful (thanks David!) But the big takeaway wasn’t the ideal customer group, it was the least ideal group: the Non-starters. 80% of our churn was coming from people who send less than 5 Bonjoros per week. In fact, the majority of those users who were also paying for Bonjoro had sent less than 5 Bonjoros TOTAL. Most of these users were entering their credit cards before they got any value from Bonjoro, and then cancelling 1-3 months later. This was truly eye opening, and helped us implement a new step in our sales process. PS: You can (and should) check out David Apple’s full SaaStock presentation on YouTube. Being a 100% inbound driven product, our original sales conversion process was built on a combination of automated onboarding through Intercom emails + in-app messages, and personalized onboarding by sending each new sign up a welcome video from one of our team members (we’ve sent over 10,000 of these). Stage 1. First was a Marketing Qualified Lead (MQL) stage. We moved new leads to this stage if we deemed them more likely to become a customer based on their industry, use case, and company size. This was almost completely subjective. Stage 2. Next we would reach out those MQL’s to book demos, and convert them to Sales Qualified Leads (SQL’s) if Bonjoro fit their budget, need, and timing. Stage 3. Lastly we’d convert them to a Won or Lost deal if they entered their credit card or not. This was a bit of a struggle due to the nature of our product being mostly self-serve and self-convert. The above process works great for products with an average deal size of $2K+ but our customers are often individual users and small teams that have deal sizes ranging from $300 - $600/yr. Doesn’t sound so bad, right? More money coming to us with less effort from our sales team. The problem is that we had little to no control over the conversion process. Slack has a great example of this. They’ve identified 2,000 messages exchanged as the threshold at which a team has really tried the tool and understood the value. With that insight, they can focus on getting their users to reach that milestone. Once they do, Slack retains 93% of them. Being a usage-based product, this concept was a no brainer to apply to Bonjoro. We used the data we collected from our ideal customer profile process to analyse our customers and the amount of Bonjoros they send during their 2 week trials. Moving forward we switched our sales and onboarding process to focus on getting our users to reach this one milestone: 15 videos sent. This is when we started introducing our demo and sales conversation offer, rather than at the more subjective MQL moment. But we still had the same problem: 15 videos or 50 videos, most users were still not interested in demos or sales conversations. They continued to enter their credit cards and self convert. If your SaaS product is heavily inbound driven, offers a free trial, is less than $2K ACV, and easy to implement, you’re more likely to be a Customer Success driven organization than traditionally Sales driven. You’ll have a lot of sign ups and convert some of them, of which the majority will self-convert. That’s the realization we had at Bonjoro, so rather than focusing our time on trying to have sales conversations with every user, we shifted our focus to using our Product and Customer Success interactions to guide them to hit our PQL milestone. With this in mind, two months ago we made arguably the most significant change to our conversion process since Bonjoro was born. We introduced the 15 Bonjoro Promise to our free trials. Prior to this change, our trial process was a straightforward 2 week trial of our Grizzly plan, and once your 2 weeks was up, you were either downgraded to our Free plan, or could pay and continue with Grizzly. With the new trial process, every user had their trial end after 2 weeks OR 15 Bonjoros sent, whichever came later. So if they want to send 500 videos in their first 2 weeks, no problem, or if they didn’t get around to sending any videos in their first 2 weeks, their trial stays open indefinitely until they reach 15 videos sent. Almost immediately our churn dropped by over 60%. With this new process, any user who signs up and prematurely enters their payment details before hitting 15 videos will not be charged. Only users who get real value from Bonjoro will pay for it. We were slightly worried if this would significantly slow our growth as we are essentially turning away potential customers, but we knew it was the right move for the long run. As well as ensuring better use of the product, we felt morally we shouldn’t be taking anyone’s money if we aren’t providing value. 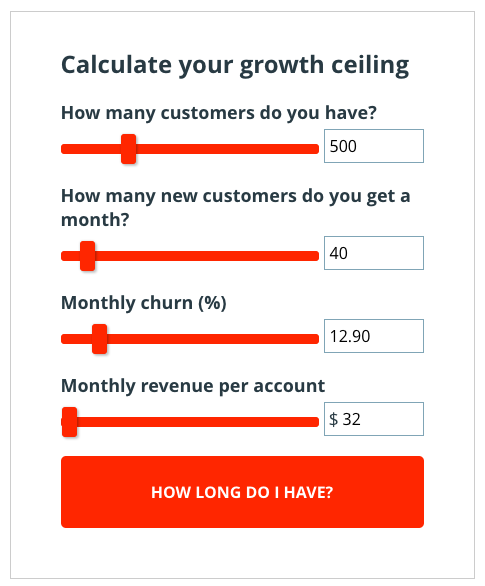 A few months ago we found this handy SaaS Growth Ceiling Calculator from the team at Nickelled, which helps SaaS companies calculate how long they have until they reach a point in their lifecycle where the number of customers churned is equal to the number of customers added - something no SaaS company wants to reach. Let’s just say this was a nice kick in the @$$. According to our numbers at that time, we only had TWO MONTHS until we hit our growth ceiling. In fact the ceiling would eventually drop by almost 40% from 500 customers to 310 customers. 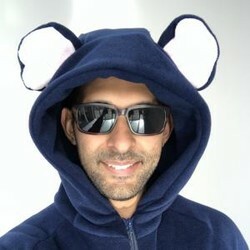 By dropping our churn rate by 63% (from 12.9 to 4.8) we bought ourselves six more years of Bonjoro. These are important but churn is BY FAR the most significant. We still hit a growth ceiling in two months, but this time our revenue doesn't drop steeply afterwards. With a sales first mindset it can be easy to focus on getting as much new revenue as possible, but retaining customers is flat out more important. NOTE: Our current data does not mean Bonjoro will stop growing in 2024, we’ll keep working on reducing churn, increasing ARPU, and acquiring more customers per month. Churn will be our top focus, but getting a good hold of all levers keeps that ceiling moving up. 1. Watch David Apple’s presentation and segment your customers by usage, then measure each segment’s retention curves. 2. Identify the segment(s) with the best retention and profile them in terms of Location, Industry, Use Case, Role/Persona, or any other important variables in your business. Provide this insight to your marketing team to help narrow their focus so they can get you more leads who fit your ICP and will turn into better customers. 3. Within the best retention segment(s), look for tipping points that are indicators of users getting value from your product. This one is a bit tricky to suggest a blanket tactic as every product is different, but you know your product best, so trust your judgement! 4. Once you’ve found that golden target, make that your Product Qualified Lead metric, and build your onboarding and customer success processes around guiding your users to reach that target. 5. Shift your sales team to focus on interacting and converting as many of those PQLs as possible. While the focus of this post has been reducing your churn, the real lesson behind it is nailing the fit between your product and the people who pay for it. Introducing a Product Qualified Lead structure helps you focus on the right users, and gets you closer to only taking money from customers who have received value from your product; something your business can be very proud of. If you have any questions or comments feel free to email me, or even better, sign up for Bonjoro and send me a personal video at amaan@bonjoro.com - I’d love to hear from you! 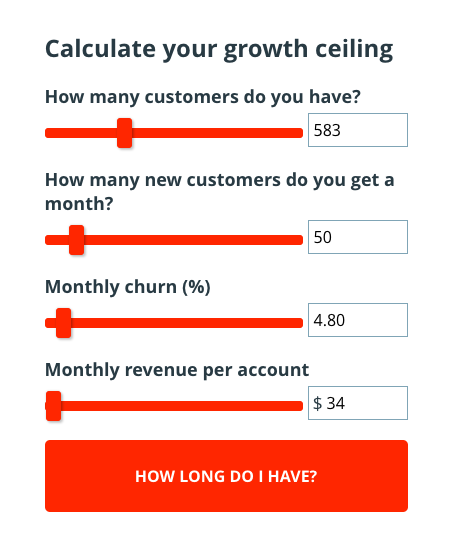 What Is Customer Churn, and Why Does it Matter to Your Business?